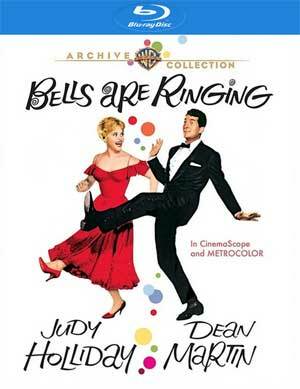 Bells Are Ringing is an absolutely wonderful musical-romance from the 60s and features two charming performances by Judy Holliday and the always suave Dean Martin and come catchy tunes. Cast: Judy Holliday, Dean Martin, Fred Clark, Eddie Foy Jr. The get-up in New York’s get-up-and-go comes from the switchboard operators of Susanswerphone. Need a wakeup call? Your appointments? Encouragement from “Mom”? A racetrack bet? It all comes from that dutiful nerve – or noive – center that keeps enterprises enterprising and, maybe, wedding bells ringing. Judy Holliday reprises her Tony-winning Broadway role of irrepressible switchboard girl Ella in a jubilant adaptation that marked her final movie and the final teaming of movie-musical titans Arthur Freed and Vincente Minnelli. 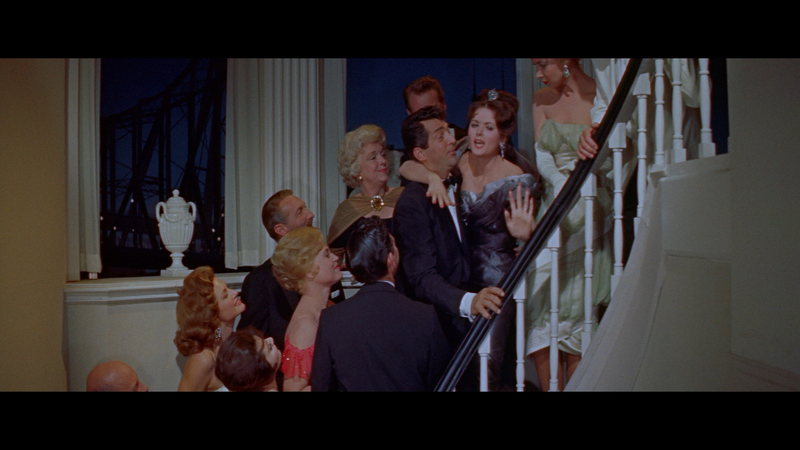 Dean Martin costars as a struggling playwright in for a surprise when he learns “Mom’s” identity. This release, through Warner’s MOD program, includes Bells Are Ringing: Just in Time (11:15; SD) featurette, some Outtakes (TRT 11:54; SD) and the Theatrical Trailer (3:01; HD). 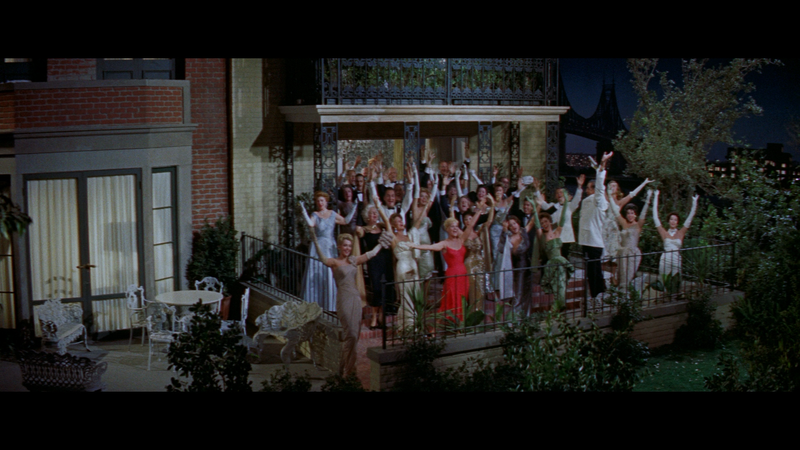 Bells Are Ringing comes to Blu-ray through Warner’s Archive Collection presented in its original 2.35 widescreen aspect ratio and a 1080p high-definition transfer. This was a brilliant looking picture, colors look bright throughout and detail was fairly sharp and there were no major instances of dust, scratches or other blemishes. For a movie going on nearly 60 years old, I was rather impressed. Not to be outdone, thankfully the studio gave this musical a fleshed out DTS-HD Master Audio 5.1 track which does provide for clear dialogue levels but when the music picks up, that’s when each channel becomes fully utilized. 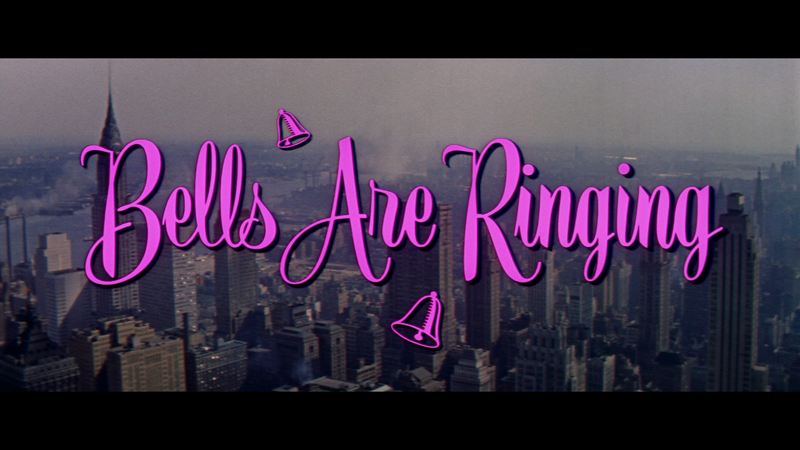 Overall, Bells Are Ringing is an absolutely wonderful musical-romance from the 60s and features two charming performances by Judy Holliday and the always suave Dean Martin and come catchy tunes. This Blu-ray by Warner Archives offers great video/audio transfers and some thin bonus features.